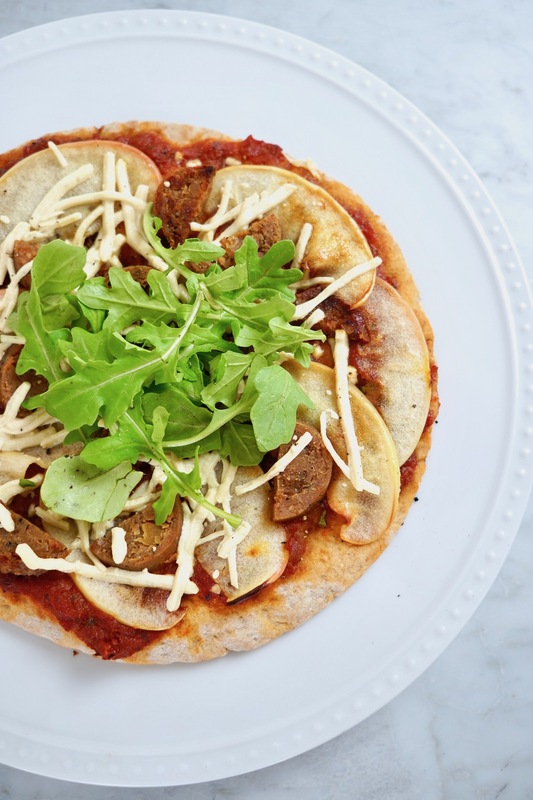 Quick and easy, these whole grain pita pizzas made with sautéed apples and arugula are my go-to fall dinner for busy work nights and lazy weekends. Pita pizzas are my go-to on weekends. When I want something that feels indulgent but still has ingredients I approve of, pita pizzas hit the spot. They’re also incredibly easy to make — a must on lazy Sundays. 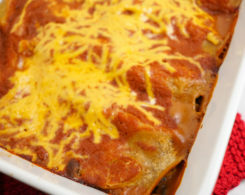 One of the things I love most about this recipe is how easy it is to customize. So if your kids want plain cheese but your hubby is craving a meat-lovers special (or in this case, a faux-meat lovers special), everyone gets what they want. The basic recipe stays the same, you just add your favorite toppings. This particular pita pizza iteration incorporates the flavors of fall and my personal pizza requirements: sweet and savory. It may sound a little weird at first, but don’t knock it until you try it. The sweet ingredient here is sauteed apples. 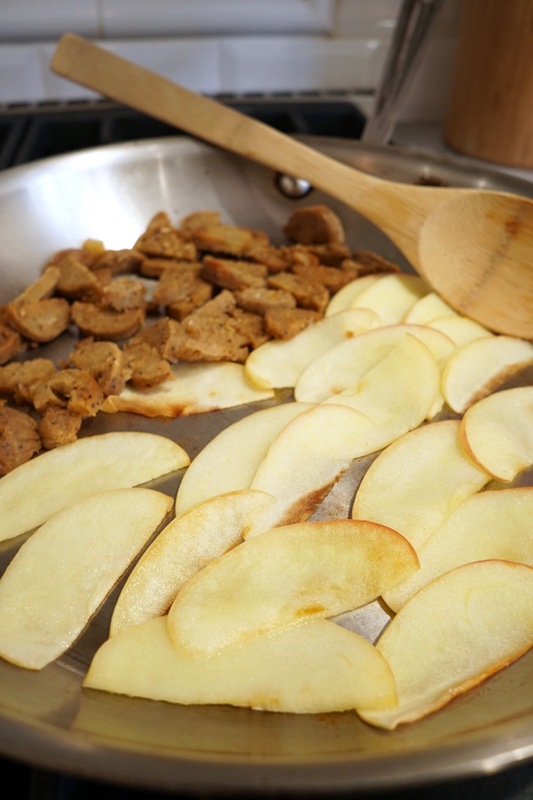 Their delicious caramelized flavor is complemented with savory notes from Field Crest’s vegan smoked apple sausage. And to add extra nutrients to the mix, I tossed in a handful of arugula. Fun fact: arugula is actually considered a cruciferous vegetable (same family as broccoli and cauliflower). Arugula contains a phytochemical known as erucin (a type of isothiocyanate) which has shown to have cancer-fighting properties. The whole thing is topped off with a vegan mozzarella. 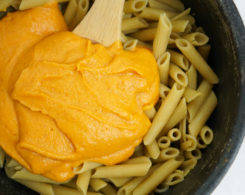 However, as this is a customizable recipe, those of you who eat dairy (and those who follow a flexible Predominantly Plant-Based diet and just want to enjoy some real cheese) are obviously free to use regular mozzarella if you like. 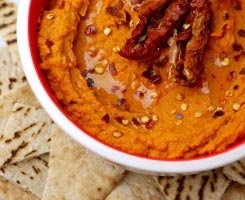 You can use any type of pita you like for the recipe: whole wheat, regular, or gluten-free. 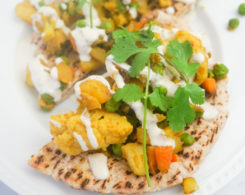 You could even swap out the pita for naan if you’re feeling really funky. 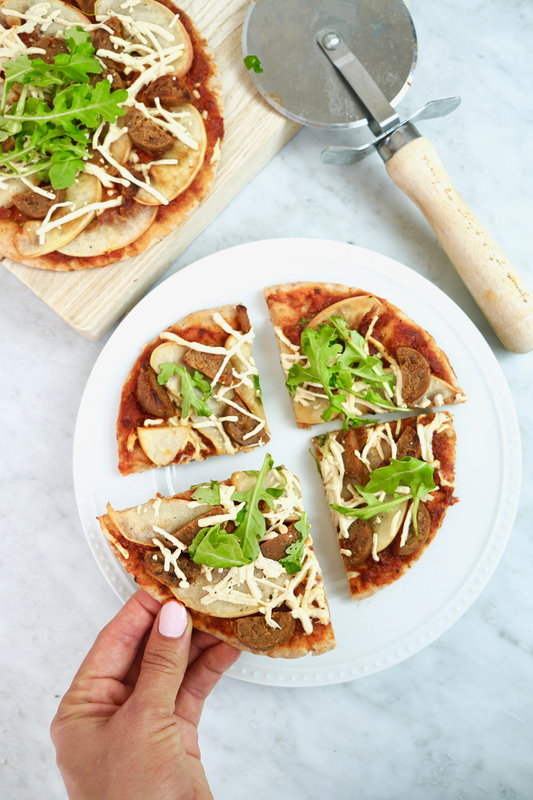 These vegan apple and arugula pita pizzas are packed with fall flavor and are so easy to make! In a medium pan, heat 1 teaspoon coconut oil. Add apples and sausage and saute until softened, about 3 minutes. Spray a baking sheet with cooking oil and place pitas on sheet. Spread marinara evenly over pitas. Add apples, sausage, and cheese. 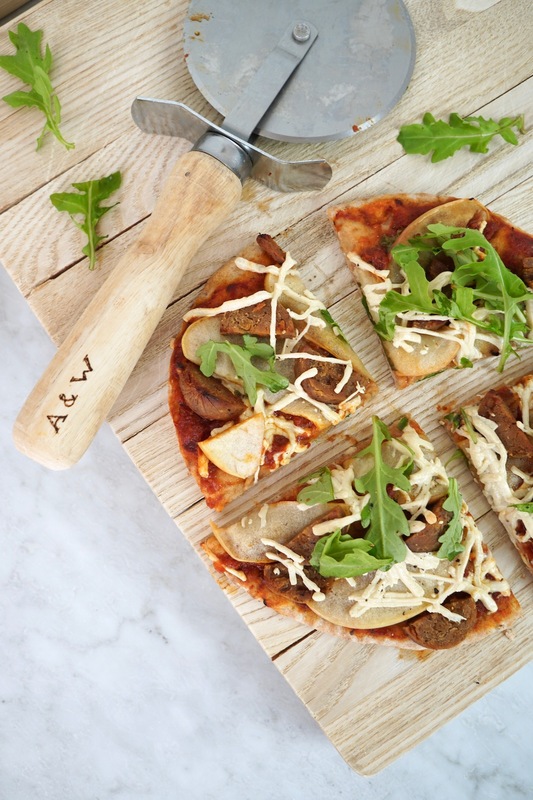 Top pizzas with arugula and fresh pepper, and enjoy! 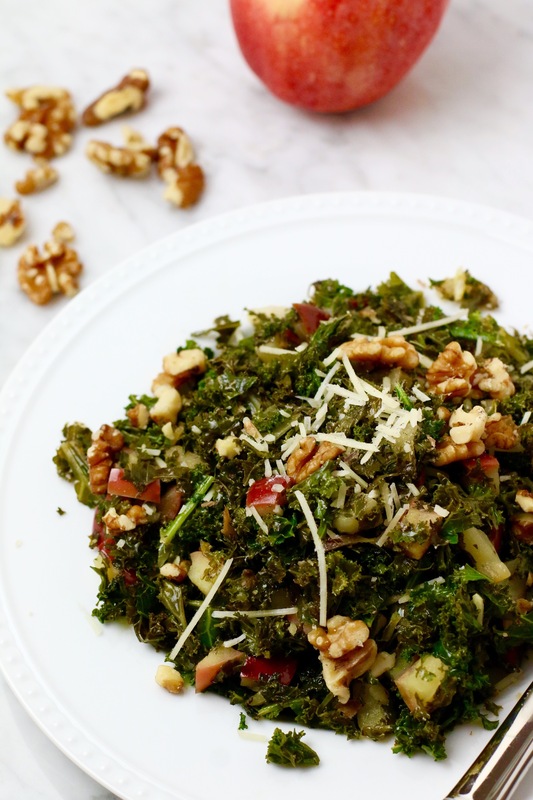 This pizza goes great with a side of my Sauteed Kale, Apple + Walnut Salad. Fyi, all of the ingredients for this recipe were purchased on my new favorite farm to doorstep delivery service, Milk & Eggs! 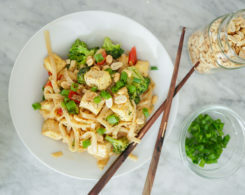 If you’re in the LA area and you want to try this recipe, you can order the ingredients from Milk & Eggs and use my code: WhitneyeRD for $20 off your first purchase of $40 or more. Guess what guys, this pizza is one of the recipes included in my FREE 7-Day Predominantly Plant-Based Meal Plan, which is releasing a week from today. Sign up now to be one of the first people to receive the plan and start preparing for the PPB Meal Plan challenge, where I’ll be trying the plan along with you guys November 6th-November 12th. One lucky winner will get an awesome prize for participating, including a $500 gift card to Whole Foods! 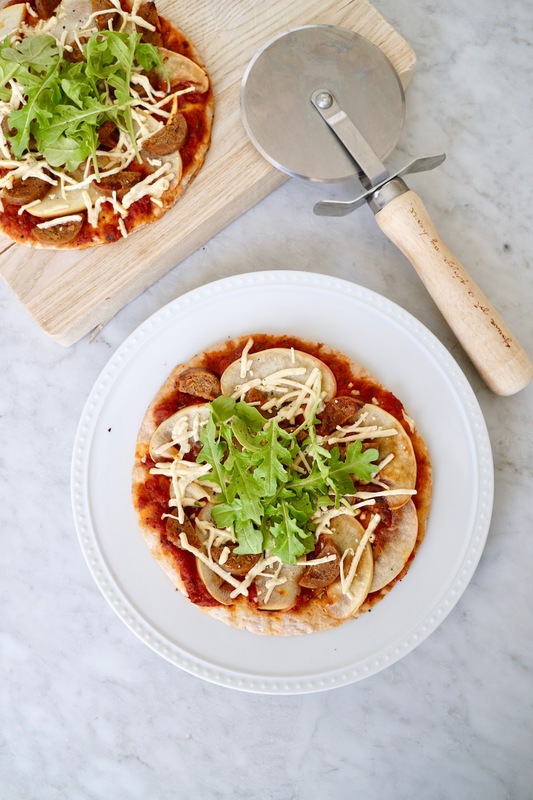 Weigh in: Have you made pita pizzas? What are your favorite pizza topping combos? This sounds lovely! Never thought to use apples on pizza, but have to give that a try now! Yeah, it sounds a little strange at first but I promise, it’s delish! This looks delicious. We LOVE pizza in our house. Any topping is a great topping for us! 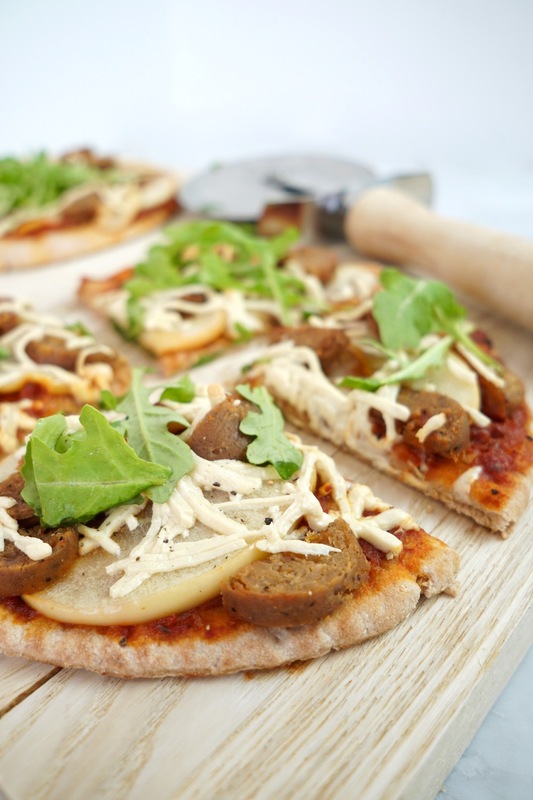 We love pizza nights, especially homemade pizza nights and using seasonal ingredients! 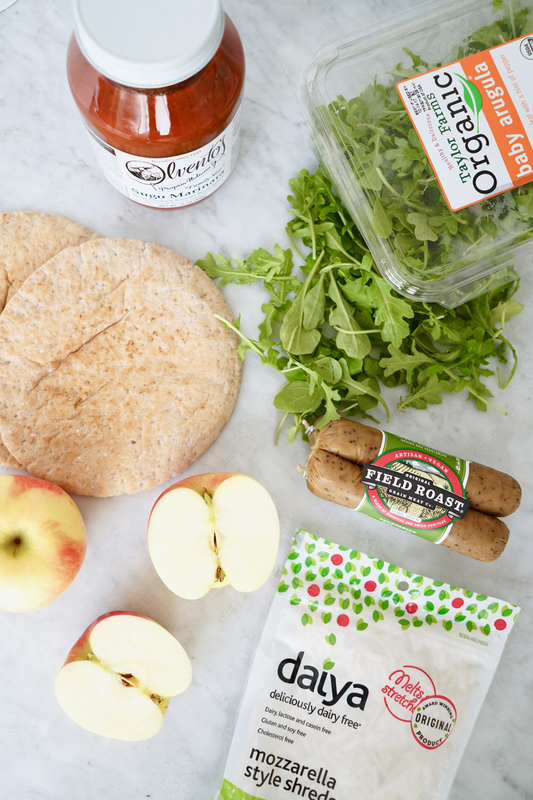 Love the combo of apples and arugula, this is such a fresh and delicious combo! Yum, this looks so good! I love Field Roast but haven’t had them in forever. Def gonna pick some up and make myself a pizza! I was so excited when I saw on social media that this pizza is dairy free! I clicked right over to check out the deliciousness – it looks and sounds amazing! Who doesn’t love pizza! This is such a fun idea! The sweet and savory combo sounds delish! This pizza looks so good! I love trying new pizza recipes! This one is creatively delicious! 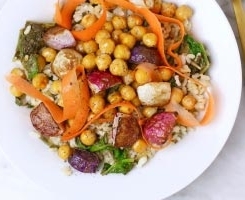 Love how creative and fun this recipe is! And love that you’ve incorporated apples and arugula. So yummy! Pizza is always a good idea, especially when they are healthy like this! Sounds so yummy! I agree! Who doesn’t like pizza?! This looks fantastic! So many colors, too! This is the cutest recipe! PS- I don’t think I’ve been on your site since the rebrand. LOVE IT! Aw, thank you so much! I’m so happy it’s finally done! I will take your pita with a side of that ADORABLE pizza cutter!!! Love that. Looks like the coziest pita for winter. Such a fun recipe! I’ve never had apples on pizza, but great idea-i love any sweet/salty combo, so this looks like perfection to me! Oh, WOW! I love everything about this pizza! Arugula and apples are SO good together (grilled onions too)! That salad looks fantastic too!